Your Tbilisi guide and driver will meet you at 9 am at the lobby of your Hotel to take you to the miraculous Eastern region of Georgia – Kakheti, also known as a birthplace of Georgian wine. 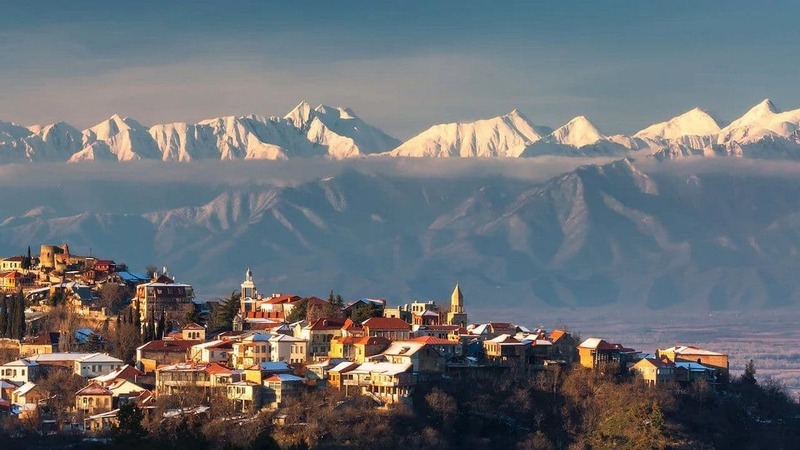 Your first stop in about 2 hours will be in the small and cozy town called Sighnaghi, labeled a “City of Love”, mostly for the fact that one can register his/her marriage there 24/7. You also will visit a St.Nino’s Monastery in Bodbe – this peaceful nunnery houses an ancient Church, natural water spring (believed to carry healing Holy waters) and carefully planted beautiful gardens. The Sighnaghi town itself is surrounded by massive ancient walls that still have their watchtowers almost intact. After climbing up one of the towers you will have a marvelous view over the Alazani valley as a bonus. Your next destination this day will be the “Hyde park on Alazani” – picturesque garden inside the Chavchavadze House-museum in the village of Tsinandali. Museum tour and delicious wine tasting will add up to the whole atmosphere. This one day tour to Kakheti would not be complete without making a stop in Telavi – central town of the region. Visit traditional Georgian market. Return to Tbilisi.